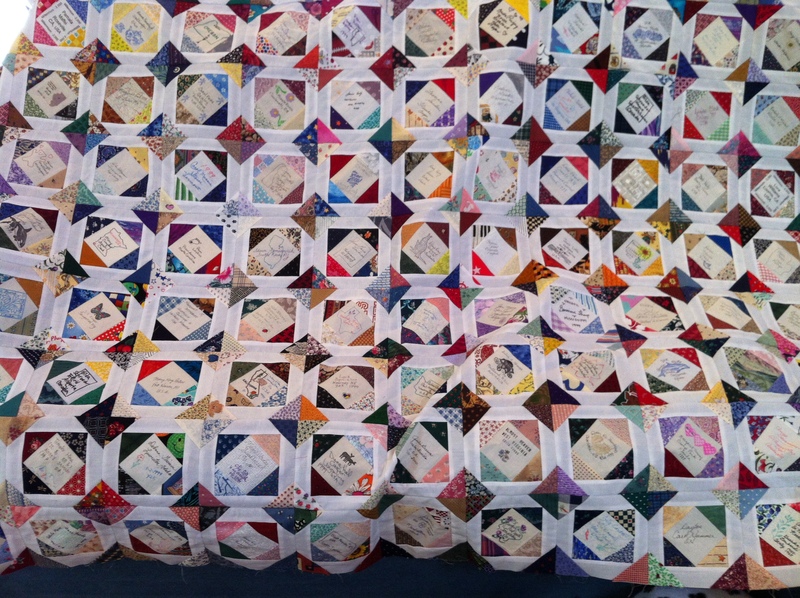 Y2K Quilt Top Complete – What is Next? Finally, the Millennium quilt top has been assembled and all the paper has been removed from the back. I have found someone to quilt it for me later in the year, so that makes two down, a zillion to go. The next box I opened had this inside. 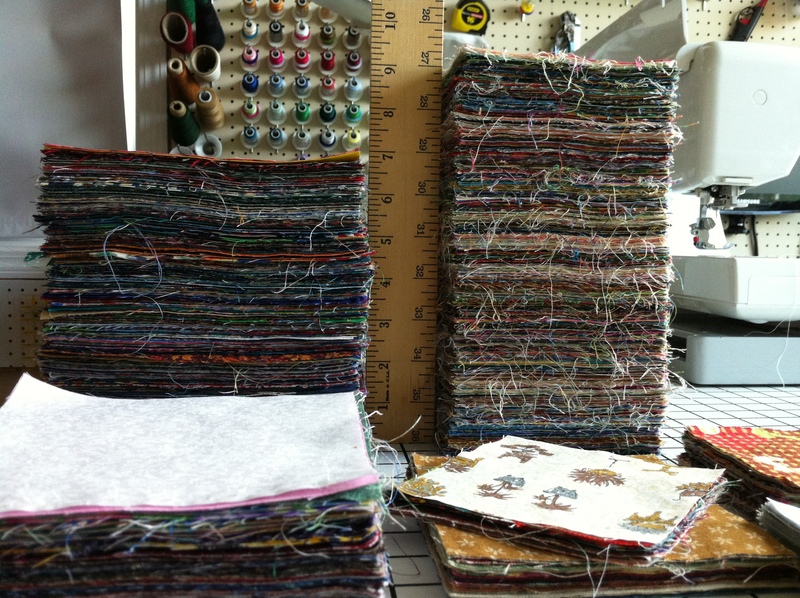 These are not pieced blocks, but cut squares ranging from 4″ to 6.5.” There are thousands!!! Most of these blocks came from another swap that I participated in in 1999 called the “Baseball Swap.” I don’t remember what the rules were, but I vaguely remember that you had to choose a team and when your team won you received blocks and when your team lost, you sent them. Anyway, since there were no signature squares involved in this swap, I decided to iron and stack the blocks and put them away in a drawer for use in the remaining quilt tops I come across. Next up is the beginning of the T-shirt/Memory quilt top. I have already started on it and will be posting photos soon. Such a lovely top! So much work with all that detail…wow!